Dietrich von Hildebrand's The Encyclical Humanae Vitae: A Sign of Contradiction was published mere months after Pope Paul VI promulgated the eponymous encyclical. The much-anticipated encyclical quickly proved to be among the most contentious papal documents ever published; the uproar against it was immediate, intense, and widespread--even, perhaps especially, among Catholic intellectuals and clergy in Western countries. 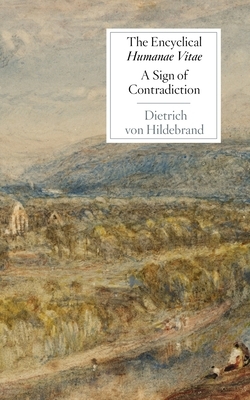 It was in this milieu that Dietrich von Hildebrand published his The Encyclical Humanae Vitae: A Sign of Contradiction, and in doing so, became one of the first Catholic intellectuals of public stature to defend the encyclical.